Then he meets spunky Annie, who seems pure and lovely and devoted to her God. Her past, though, holds sin and heartbreak. She was a worm, she explains, but God has transformed her into a butterfly. Johnny falls hopelessly in love; and eventually he, too, finds the power of God to transform lives. Settling down on the family farm, he forgets about the questions and the restlessness, thinking that he is happy and at home, at last. 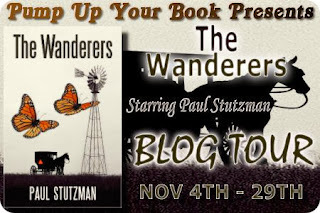 Paul Stutzman was born in Holmes County, Ohio in an Amish family. His family left the Amish lifestyle soon after Paul was born. They joined a strict Conservative Mennonite Church where Paul was raised to fear God and obey all the rules the church demanded. Paul continued to live among and mingle with his Amish friends and relatives his entire life. Paul married a Mennonite girl and remained in the Amish community working and raising a family. 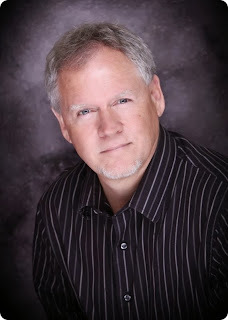 After Paul lost his wife to cancer, he sensed a tug on his heart- the call to a challenge, the call to pursue a dream. With a mixture of dread and determination, Paul left his job, traveled to Georgia, and took his first steps on the 2,176 mile Appalachian Trail. What he learned during the next four and a half months changed his life-and can change yours too. After completing his trek Stutzman wrote Hiking Through—a book about this life changing journey. In the summer of 2010 Stutzman again heeded the call for adventure and pedaled his bicycle 5,000 miles across America. He began his ride at the Northwest corner of Washington State and pedaled to Key West, Florida. On his journey across America he encounters people in all circumstances, from homelessness to rich abundance. The people he meets touch his life profoundly. Stutzman writes about these encounters in his book Biking Across America. Recently Stutzman released his first novel entitled The Wanderers. The Wanderers is a story about Johnny, a young Amish boy growing up in a culture he is not sure he wants to embrace. A young Amish girl named Annie wins his heart and life is great for a time. 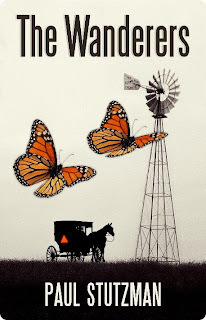 Entwined with Johnny and Annie’s story is the allegory of two Monarch butterflies, worms who have been transformed into amazing creatures specially chosen to carry out the miracle of the fourth generation. They, too, must undertake a long journey before they finally find home. In addition to writing, he speaks to groups about his hiking and biking experiences and the lessons learned during these adventures. Stutzman resides in Berlin, Ohio and can be contacted through his website at www.hikingthrough.com or www.paulstutzman.com.